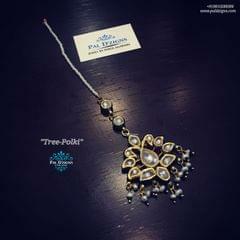 Stones: Uncut Kundan Polki stones studded with fresh water pearls peroi . 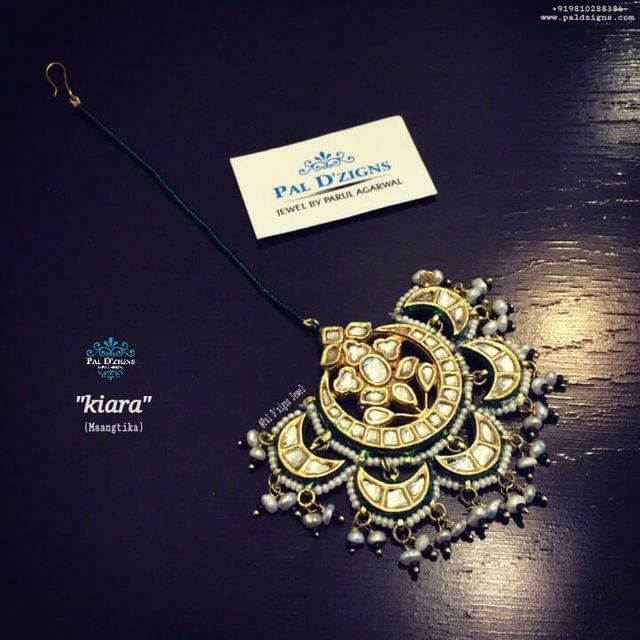 Finish- 22kt Gold Patra with Lamination (non tarnished) on Silver with Alloy, Green Enamelling on Side of Design and Beautiful colours at Back side.. 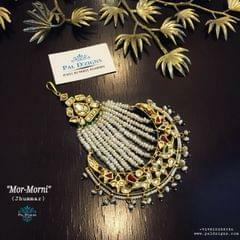 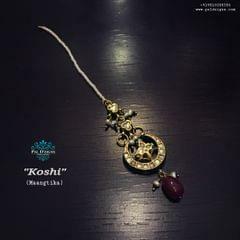 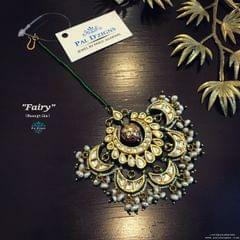 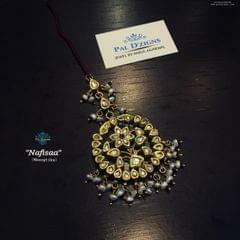 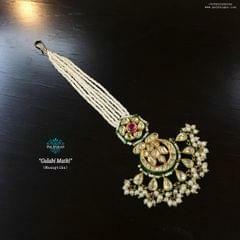 Weight: 30gms, Length: 3 inches, Width: 2 inches..
Pal D'zigns Creation comes in Beautiful and Hard Box Jewellery Packaging .